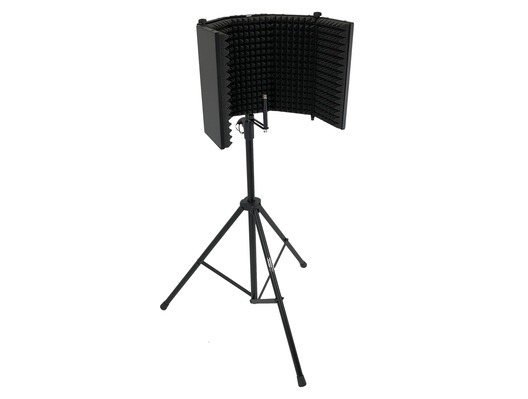 Bring the studio to your home with this Gorilla complete microphone stand booth. 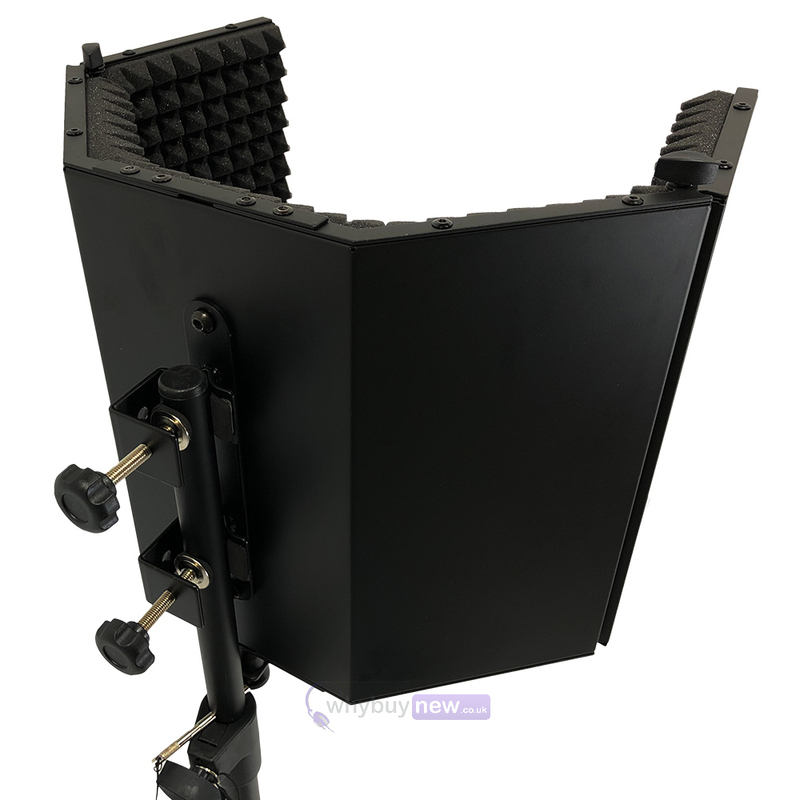 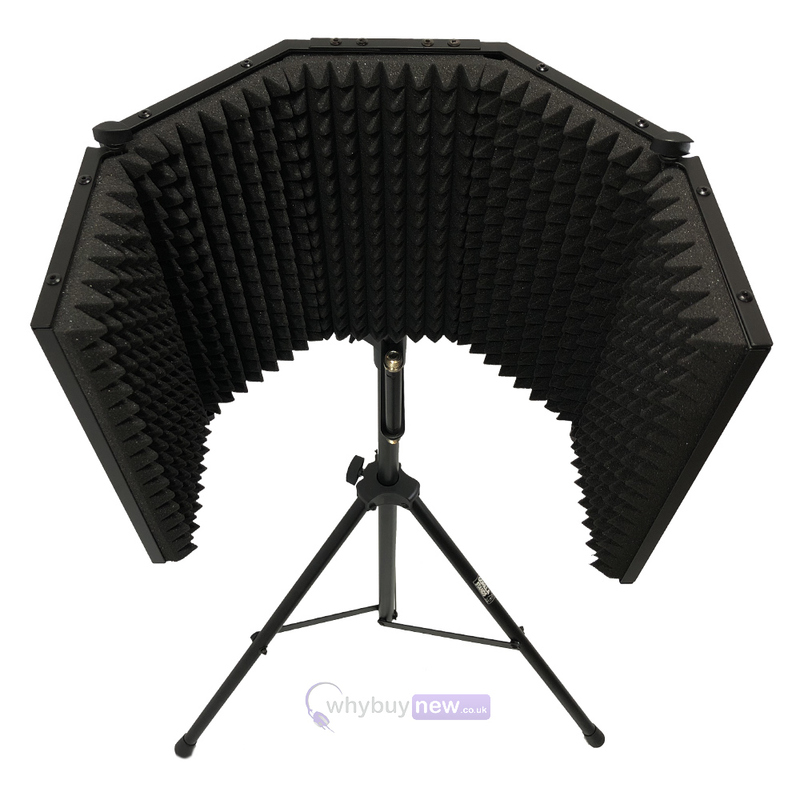 This professional portable sound absorbing vocal recording panel from Gorilla instantly creates an essential microphone booth with the perfect ambiance for all your professional or amateur live performance recordings. 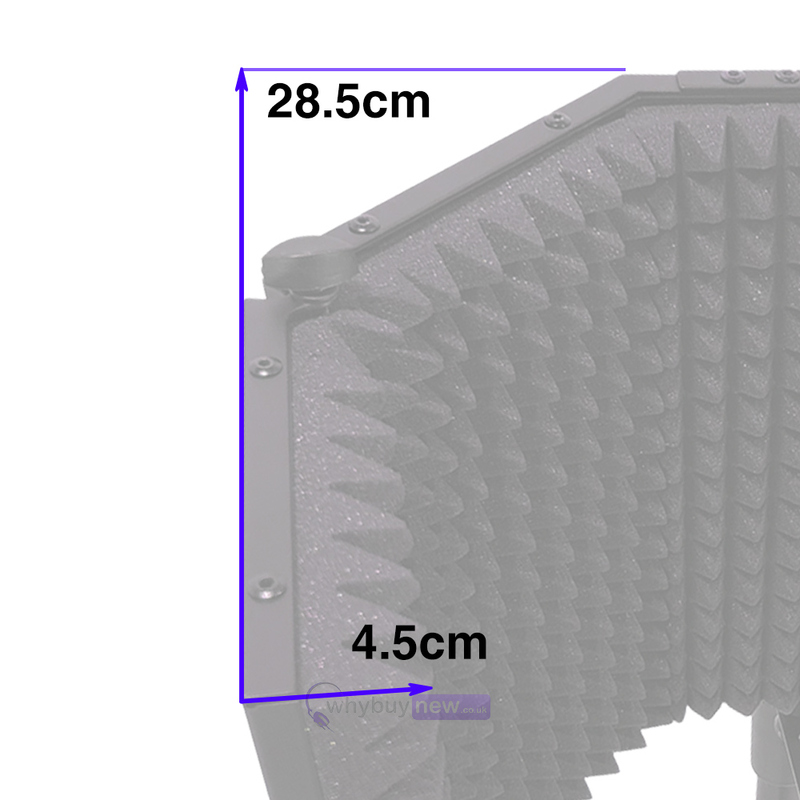 This high quality panel blocks sound from air conditioners, audience chatter, and other obstructions whilst reducing Bounce back. 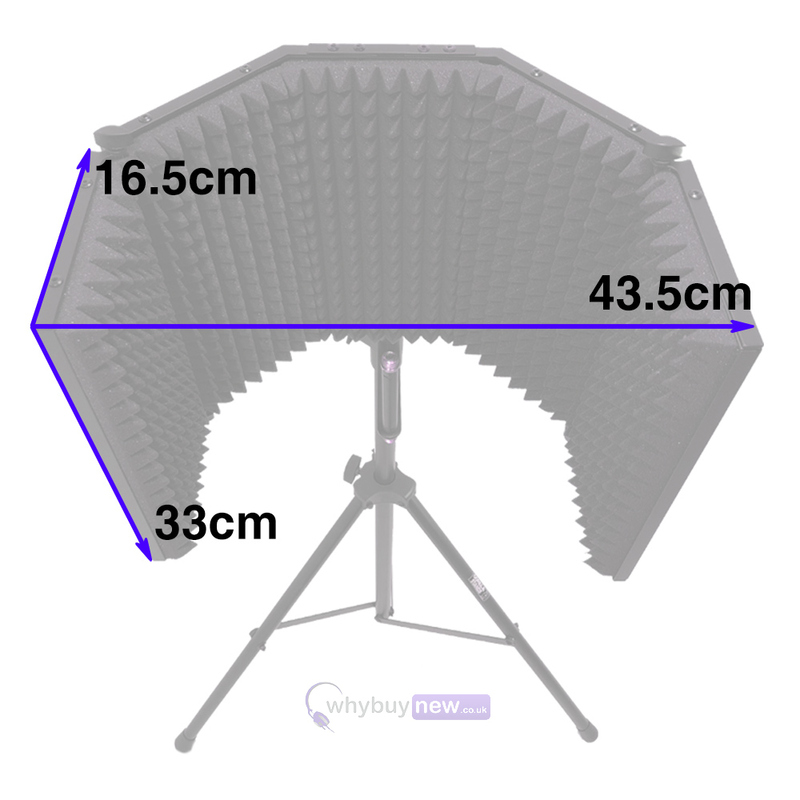 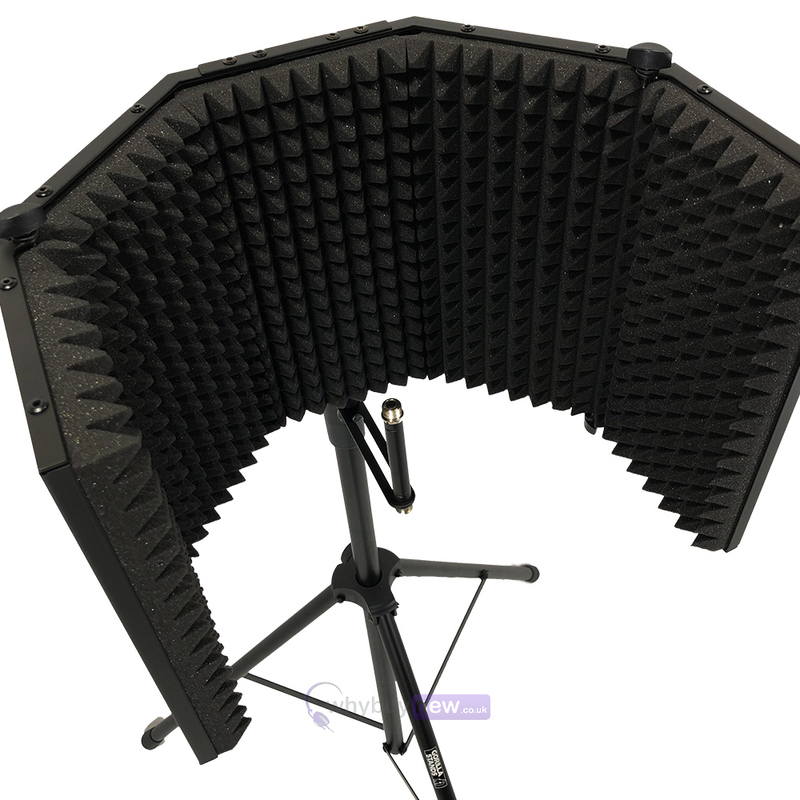 The Gorilla foldable sound absorbing panel is easy to assemble and use, perfect for deflecting noise interference for top-notch vocal recording anywhere. 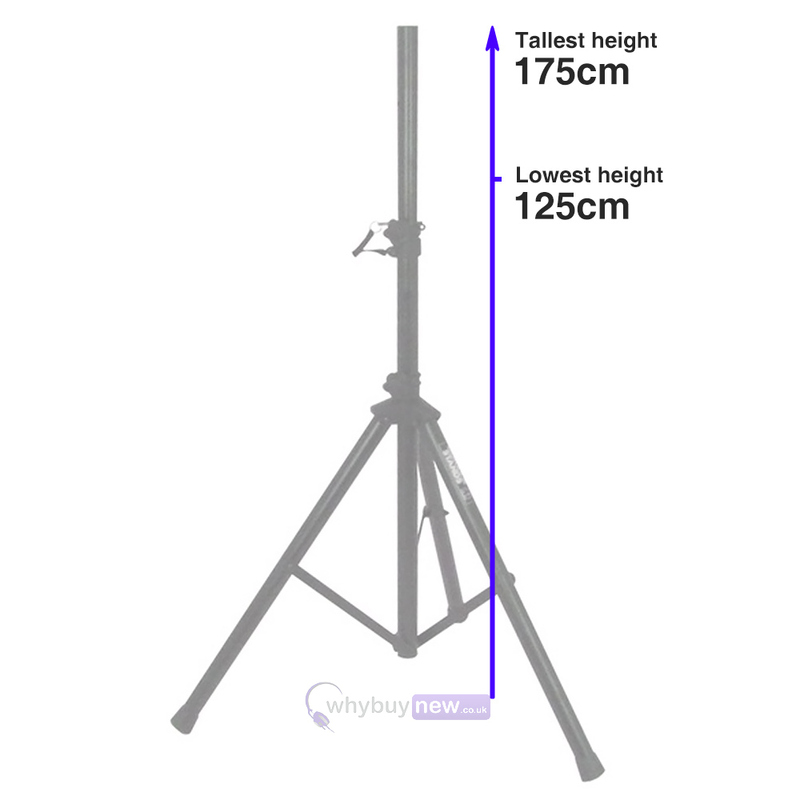 Set up and take down in seconds with it's clever panel design allowing quick and easy breakdown for travel. 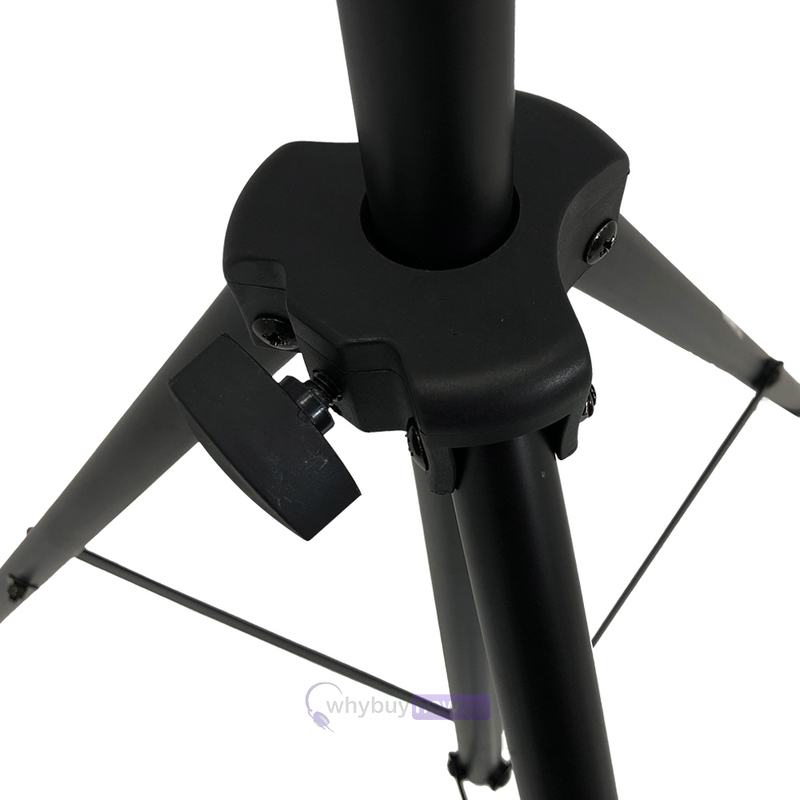 Simply release the booth with two hand tighteners, remove from the tripod stand and them fold away the stand. 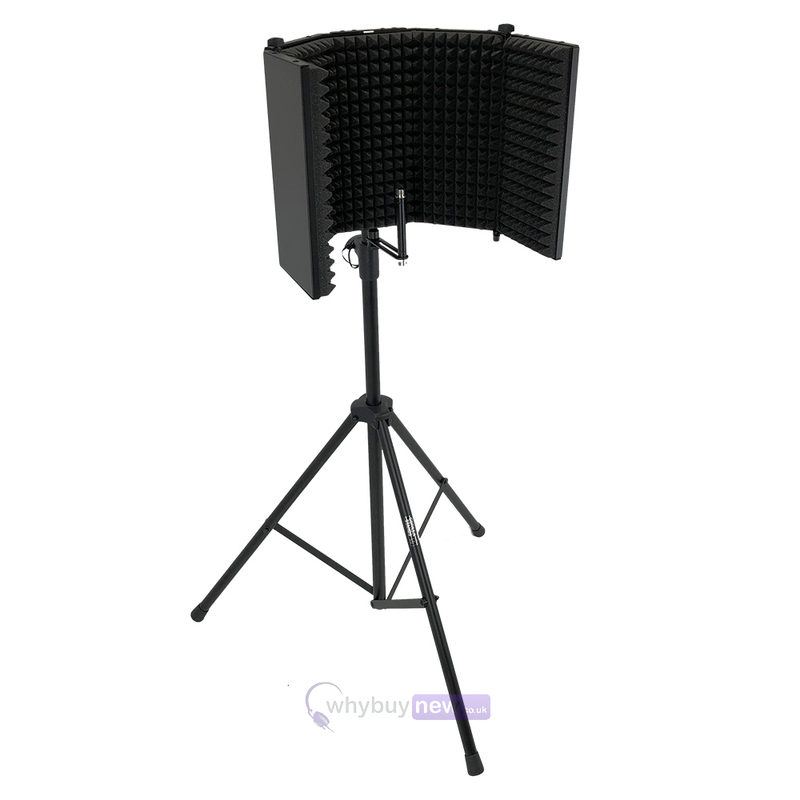 The panel is constructed from premium aluminium and lined with high-quality foam. 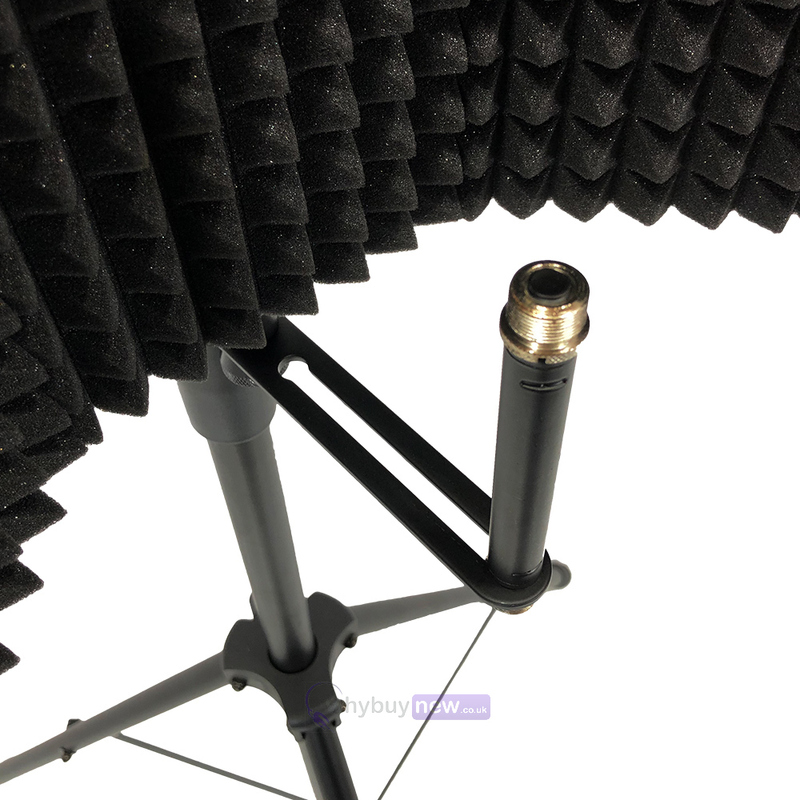 This delivers structural integrity along with appropriate sound diffusion so your recording is always free of distortion or alteration due to surrounding waves.